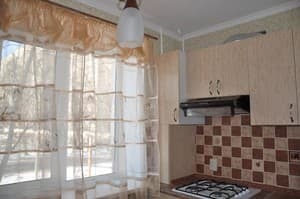 One-room apartments are located in the central part of the city of Melitopol near the Amstor supermarket. The residents are provided with a cozy apartment, which is equipped with all the necessary furniture for living, a private bathroom with all the toiletries, air conditioning, appliances, and a fully equipped kitchen for cooking. Guests have free access to Wi-Fi. Nearby is a 24-hour guarded parking lot, a park, a supermarket and shops. The distance to the bus station is 2.5 km, the railway station is 2.3 km. 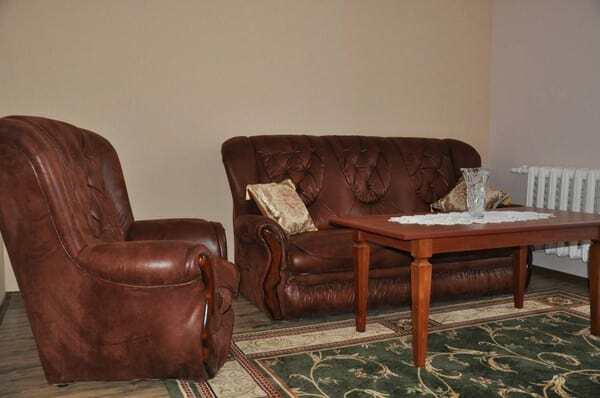 Description of the room: One-room cozy apartments, which are made in modern design, and are equipped with a sofa bed and necessary appliances. At settlement it is necessary to leave the passport or a driving license as collateral (at eviction it is returned). On request, only on existing bedding. The apartments are equipped with a kitchen with a set of all necessary kitchen utensils. The central part of the city. From the railway and bus station there is an opportunity to reach by public transport.